Hello Everyone! 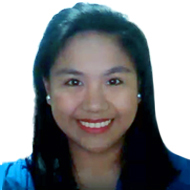 I’m Teacher Ana, I’m 26 years old from Pasig City, Philippines. I do have passion in teaching, that’s why I am always determined and when I say determined being responsible, kind, punctual, loyal, creative and hard working comes along. And most especially we can have fun while learning.